I love eating a fresh homemade salad especially because I know every single ingredient that is going inside my mouth. This easy roasted vegetable salad is one of my favorites. And with 200 calories in the entire recipe, if you are a salad-person, you simply must try! 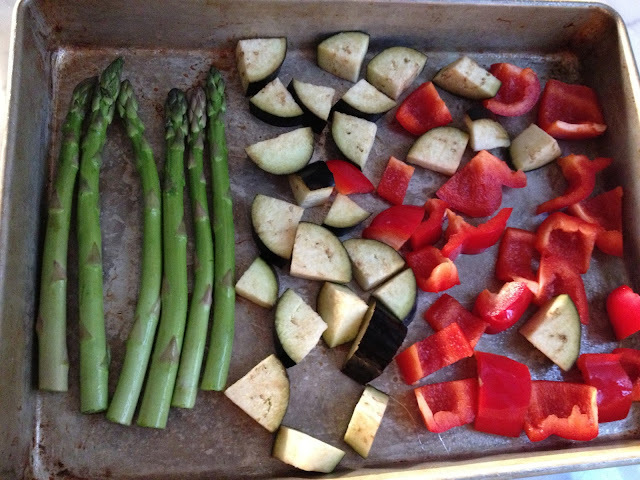 Lay asparagus, eggplant and bell pepper in a single layer on the tray. Meanwhile, make your dressing by whisking up balsamic, dijon, and lemon juice. Place your sun-dried tomatoes in the dressing to soak up the juicyness. Chill until needed. After the veggies are done baking, chop asparagus into 1 inch pieces. Place romaine on a plate, and top with roasted veggies, avocado, and dressing/sun-dried tomatoes. I love a good roasted veggie salad! Hey, I made your Rockin' Cheezy Kale over the weekend. 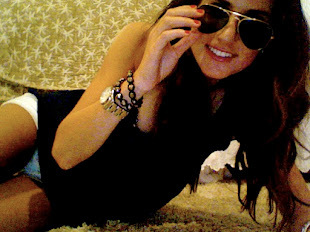 I blogged about it today.. Delicious! That makes me so happy!!! Checked it out on your blog, looks delish! So do the fries :) Thank you!